Bored with regular routines and looking for some friends to hangout? That’s should be the easiest way in this social world. 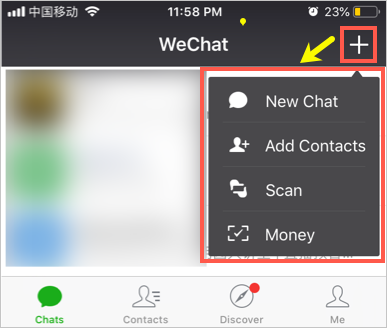 If you are living in China then WeChat will make that task easier for you. Searching known as well as unknot friends is easier in WeChat app. 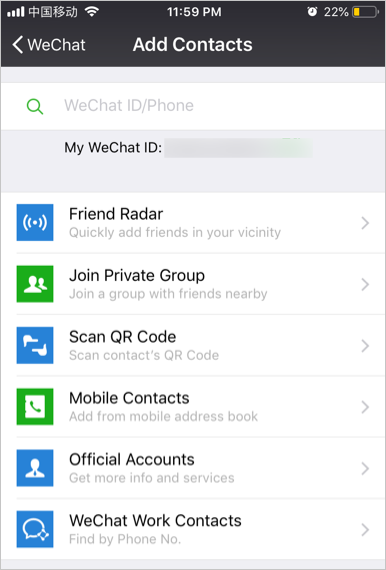 Here we will explain 11 ways to find friends in WeChat iPhone app. You can use similar methods to find friends in Android app also. From the + icon on the home screen to find or add people you already know. Using “Discover” option from the dock to look for random people for fun and timeless activity. Open WeChat, tap on the + icon and select ‘Add Contacts’. You will have plenty of options to find people. If you know the WeChat id or phone number of a person, then enter it in the search box to find the person. Send a request to the person to add you as a friend and start discussing. Tap on “Friend Radar” and WeChat will show the people living nearby using the app in a radar like map. You can tap on the person and send friend request to start a chat. Wanted to start a private discussion with the people nearby your location? Tap on “+ icon > Add Contact > Join Private Group”. You need to enter four digit passcode to create a new private group. After starting the group, share the passcode to your fiends and ask them to join the group. 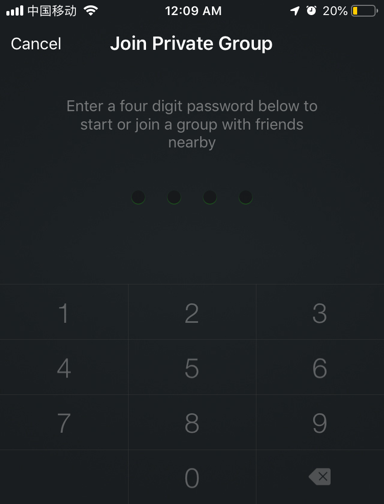 Alternatively, you can get the four digit passcode from other group members and join their private group. This is generally useful when someone is asking you to add as friend. Tap “+ > Add Contacts > Scan QR Code”. Scan the QR code of the person sharing the code with you. After scanning, you can add the person as your friend and start chatting. You can also simply scan a QR code by tapping on the “ + icon > Scan” option. Tap on “Mobile Contacts” option and upload all you mobile contacts. After uploading you can look for the people using WeChat and send friend request to them. 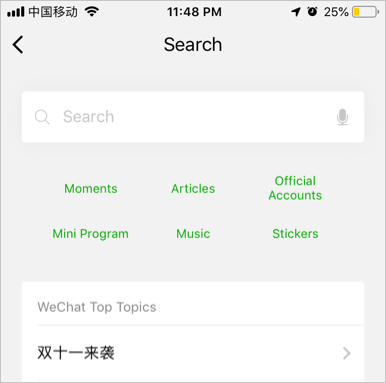 Search for any official brand or company’s WeChat account. 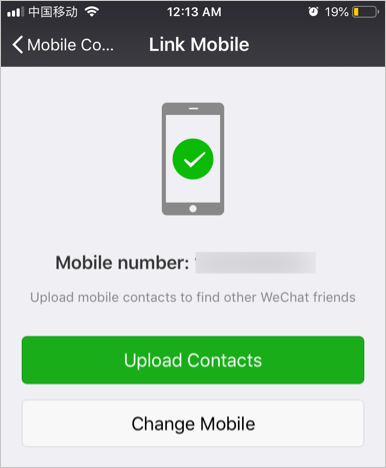 Tap on this option to find people using WeChat Work by their phone number. 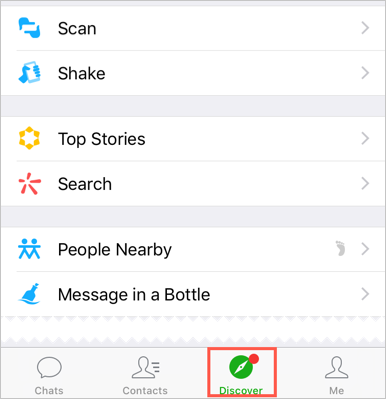 WeChat also offer many other options to find random friends under “Discover” section. It’s a funny way to find people doing same action like yours. Tap “Discover > Shake” and select “People” option. Now shake your phone to find the people who are shaking the phone at the same time. You will hear a camera shutter sound and WeChat will start looking for people shaking their phones. WeChat will show the person details. Tap on the person and send greetings. Once the person accepted your request, you can start chatting instantly. 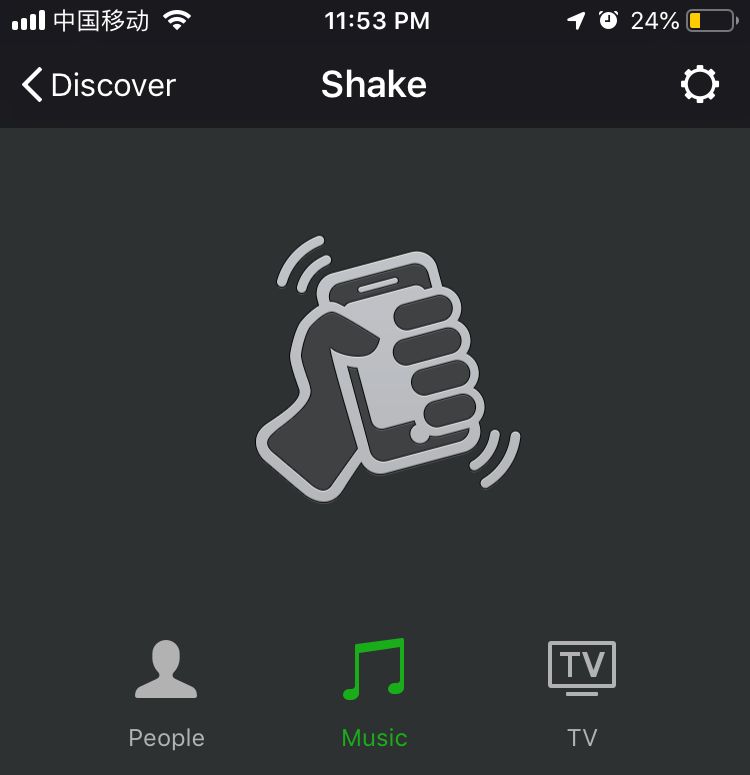 Similarly, you can also find TV programs and music with shake option. Tap on “Discover > Search” to find things you are looking for. Here you can search details from moments, stickers, novels, articles, official accounts, etc. You may not be able to connect to individual person from this searching. Looking to find someone living nearby your area? Well, weChat have an option for that too!!! Go to “Discover > People Nearby” to get the list of people using WeChat nearby your location. 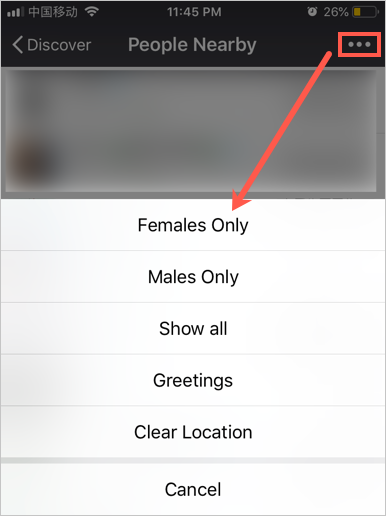 Tap on three dots button to filter the list with males, females or with greetings. After tapping on a person from the list, you can send a greetings to him/her to initiate a chat. This is another ways to find unknown friends. It’s like a game of picking up and throwing messages in a bottle. Go to “Discover > Message in a Bottle” section. You will see an ocean of water with three options in the dock – throw, pick up and my bottles. 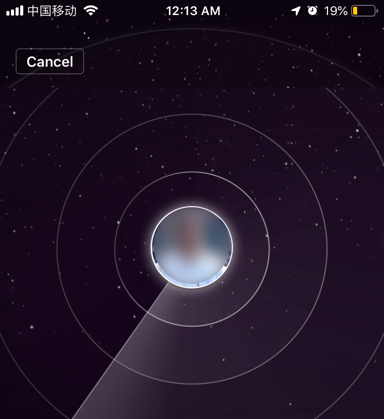 Tap on “Throw” and add a voice message to throw on the water. 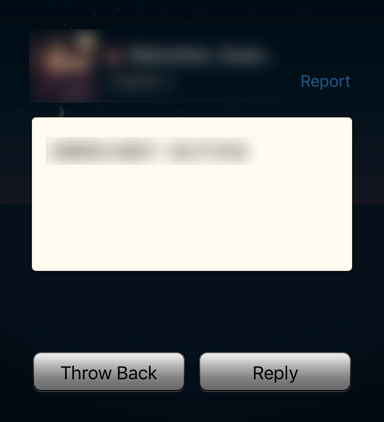 You will get a notification when someone pickups your message. Similarly, tap “Pick Up” and grab someone’s bottle from the water. You can read the message and reply to start a friendship. 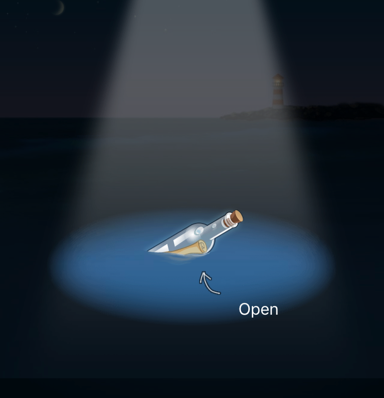 If you see a message is inappropriate, you have an option to throw the bottle back. Tap on “My Bottles” to see the bottles you have collected in your WeChat account. When done, swipe the screen down and choose to go back. You can also enable or disable to show the bottle messages in the chat section. China is the most populous country in the world. Searching an unknown person is trying to catch a fish in the ocean. Most of the time you will end up in catching some women looking for illegal relationship. So be aware of this and try to avoid accepting request from unknown people.